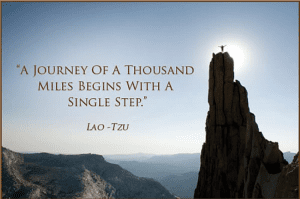 Home » Motivational Monday » Motivational Monday – Do you have a plan? We are officially in the holiday season! 2018 Thanksgiving is complete, along with Black Friday and Cyber Monday and only 35 days remaining before we begin a new year. Have you thought about your holiday plans? Where will you go? What is on your wish list? Do you know what you will get for the special people in your life? What parties will you attend, or will you host? What will you eat? Planning, planning and more planning! Think about how much time, energy, and effort we put into planning related to the holiday season. I am the first one to admit to many hours I have spent on Pinterest alone, searching decorating ideas, menus, and cookie recipes. Over 627 million results came up when I searched “Holiday Planning” on Google. What if I asked you, “What are your life plans?” or “What do you plan on doing in 2019?” Have you given that any thought? Have you spent as much time considering what you want to do for the rest of your life as you have spent on your 2018 holiday plans? Consider just your shopping time alone. As a very conservative estimate, I think it is safe to say that the average American spends at least one hour on holiday shopping. I wonder if the average American spends at least an hour on planning their life, and setting goals for the following year. 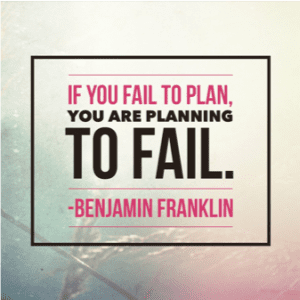 “Failing to plan, is planning to fail” is a famous saying originally quoted by Benjamin Franklin and restated by many successful people over the years. Perhaps you have heard that quote before and even agree with it, but have you actually done anything with the information? Do you know what you want your life to look like in 2019, or how about in 5 years from now? My husband and I were out of town this year for Thanksgiving and we decided to check out some sales for what I call “Brown Thursday” aka the night before Black Friday. I was blown away to see how many people were lined up outside of the stores waiting to be first in line for the best deals that store had to offer. I could not help but wonder if “we” spent even half as much time as we spend on Black Friday shopping and holiday planning, on planning and creating our lives, how much more could we accomplish? Maybe we could actually achieve our goals if we devoted even a fraction of the same amount of energy that is spent planning for Black Friday, to creating a life we would love living. There is so much truth in that Benjamin Franklin quote. How many people are dissatisfied with their lives because they have never taken the time to create a plan? As we head into the craziness of the holiday season and the end of another year, I encourage you to take some time to begin planning what you want 2019 to look like. I’m not talking about a resolution that you will make on January 1st for something that probably won’t last longer than a week, I am talking about an actual plan. As you spend hours preparing for holiday parties and festivities, ask yourself if you are giving your own life as much attention. Let’s say you wanted to go on a vacation. What is the first thing you would do? You would decide where you want to go, right? And then you would probably look into how you would get there? And then perhaps things you would do while you are there? Consider similar questions for your life: 1) Where do you want to go? and 2) How do you plan on getting there? Put all distractions aside and spend at least 5 minutes thinking about what you want your life to look like one year from now, 3 years from now, and 10 years from now. Write down 3 things that came up during that thought process that you want to see happen. Plan the first step that you need to take for each of those items.